Our church is made up of a warm and welcoming group of people, who are rooted in the community of Bratton Fleming and care deeply for it. We are a union of two ‘churches’ – Anglican and Methodist; we joined together in 2004. 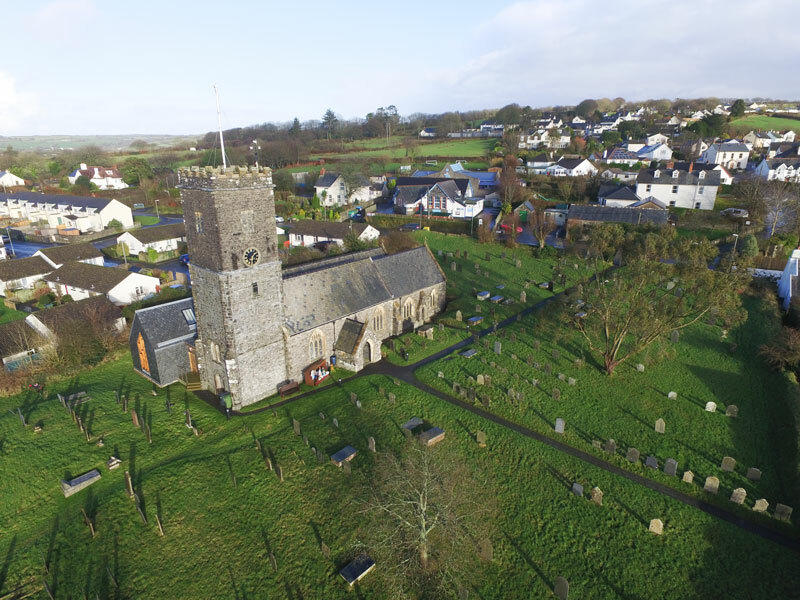 The Anglican bit is a part of a group of churches called the ‘Shirwell Mission Community’ which unites eight churches in nearby villages and sharing one Rector and a curate. The Methodist bit is a part of the Ilfracombe and Barnstaple Methodist circuit – a larger geographical area of Methodist churches. Sounds complicated? It’s not meant to be – it just describes how we share resources between us and work together. We also have a warm friendship with the local Baptist church, and often pray together. Our worship is varied and fairly informal. Our Sunday morning services take place at 9.30am. On the first and third Sundays of each month we celebrate Holy Communion – Anglican on the first Sunday and Methodist on the third. On the second Sunday of each month we hold an all age service, led by a worship team. On the fourth Sunday we have a simple service of morning worship. On a fifth Sunday the Shirwell Mission Community (group of eight churches) worship all together, the location of that service will be advertised on the notice board. All of our services end with refreshments. Sunday club is for children of all ages and takes place during most morning services during term time in the Wesley Suite. It’s led by friendly leaders. Parents of younger children are welcome to stay with their children and join in if they wish. Once a month on the fourth Sunday we also hold a Messy Church or a Messy Café – starting at about 3.45 and usually lasting to 5.30pm, though often people stay on to chat. These church services have a special welcome for families, with crafts, games, activities, songs, stories and plenty of food. During the week we have prayer services, home groups, coffee afternoons, lunches, …and all sorts of events (too many to list here) with the aim of serving our community and also growing in our faith, celebrating special times and discovering more about God. A team of pastoral visitors are able to visit people in their homes. Please let us know if you would like to chat or pray with somebody. The church building is always open during daylight hours for anyone and everyone for a quiet place to pray or just to sit and think… or to shelter from the rain. A ‘give and take’ box in the porch is for anyone needing food – and a foodbank collection box is just inside the church. We are proud of the incredibly generous community which we are a part. If you want more details about baptisms (also called Christenings) or weddings, please contact Rev. Rosie, the team Rector (details below). Baptism or thanksgiving services always take place in the Sunday church services. We also love weddings and will do what we can to help prepare and befriend couples before their big day. People need to have some sort of qualifying link to be married in the church, but it’s always worth a conversation to see what is possible (see www.yourchurchwedding.org for more information). If you would like to talk about your own or a loved one’s funeral – please speak to Rev Rosie. It might feel like a difficult conversation to have, but often helps. There are lots of ways that you can join in with and belong to our church community. We love God – we know he loves us – we want to serve our neighbour. All are welcome. We are sorry if sometimes we make it sound more complicated than that.